AIR FORCE ACADEMY, Colo. (AP) — Air Force senior defensive back Garrett Kauppila’s vantage point for Navy games has included the sideline and the stands. This Saturday, he will take in the rivalry from an even better spot — the field. 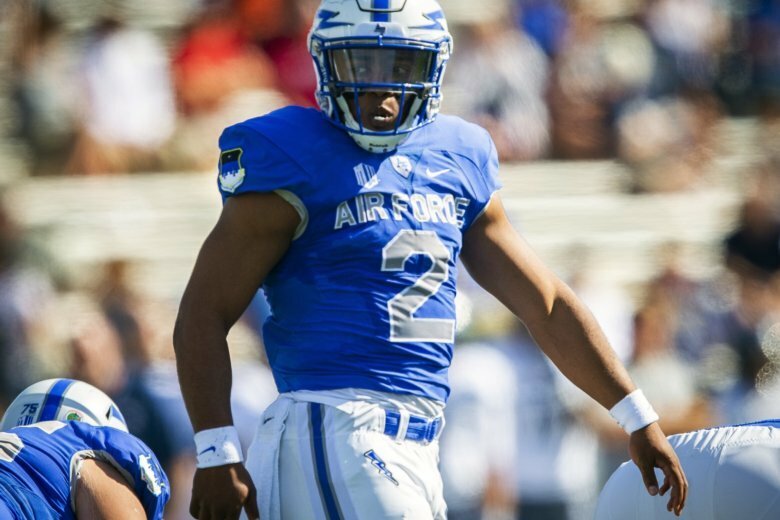 There’s no need to stress the importance of the game between Air Force (1-3) and Navy (2-2) at Falcon Stadium. This is for bragging rights. This is for a leg up to capture the coveted Commander-in-Chief’s Trophy, which goes annually to the academy with the best record in the round-robin competition. Army enters the season as the reigning champion, with Air Force earning the crown in 2016 and Navy in ’15. The Falcons enter the game having dropped three straight, while the Midshipmen had a week off to think about a 31-30 overtime loss at SMU. No extra motivation necessary — this game is always circled on both team’s calendars. “Our guys recognize how important the Commander-in-Chief’s Trophy is for the program, for our goals,” Navy coach Ken Niumatalolo said. Facing a running team couldn’t come at a better time, right? “There’s never a time when I’d say Army and Navy aren’t the perfect team for us to play,” said Kauppila, who broke his collarbone while blocking a punt early last season. “We build this program for these types of games. That doesn’t mean we have any excuse to have shortcomings in other areas. There’s no excuse for that.